Jeffrey Sachs, the director of the Earth Institute at Columbia University, believes that vaccinating the world’s populations are the key to securing global health. Through the Millennium Villages Project (MVP), African communities are invasively forced to adhere to preconceived strategies to control population through the securitization of food supplies, kept underfoot in impoverished conditions; yet the issue of vaccination appears to be the answer to all these problems. The Earth Institute at Columbia University is a financier of the MVP. Sachs is asserting that the propaganda supported by his non-profit corporation will give the MVP more funding while simultaneously giving them more power to become a major movement within the vaccine agenda culture. MVP is also funded by various UN factions, such as UNAIDS, AGRA, UNOPS, UNICEF, and the Millennium Development Project. These UN supporters are currently working to control the crop yields and food supplies of third world countries such as Africa. They are responsible for the invasion of corporations into these regions for the purpose of privatizing resources such as water, energy and agricultural lands for profit. Through specific low-cost “health-care services” the MVP has become active within their concerned “categories of disease”. The push toward vaccinating the whole of Africa as a hidden strategy to eradicate such diseases as malaria serves well and allows the MVP to continue their agenda. While governments are supporting the deployment of vaccines into nations and communities, MVP has expanded their once-limited systems, as well as becoming the first authority for clinics, recommending vaccination as the answer to each issue. The MMR, the polio vaccine and the new HIV vaccine which are laced with live cultures of the diseases they purport to stop at purveyed along the African landscape. An estimated $15 billion in humanitarian aid is a cover for the implementation of complete vaccination of the third world countries’ populations. Sachs is also a climate change alarmist who believes that global use of nuclear power will improve the environment and eliminate climate change. He claims that atomic energy produces low-carbon emissions. He says that renewable energy will not produce enough power for the world’s needs, while flooding the atmosphere with carbon dioxide. “We won’t meet the carbon targets if nuclear is taken off the table,” he said. Through irresponsible use of energy sources such as nuclear power and the population control agenda through use of vaccines, professors like Sachs and non-profit organizations such as MVP will continue to flourish. 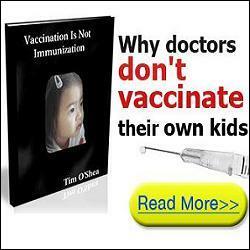 Be the first to comment on "Non-Profits Use Vaccines to Control Africa’s Population"